He predicted this novel would be his "last word," and he was right. 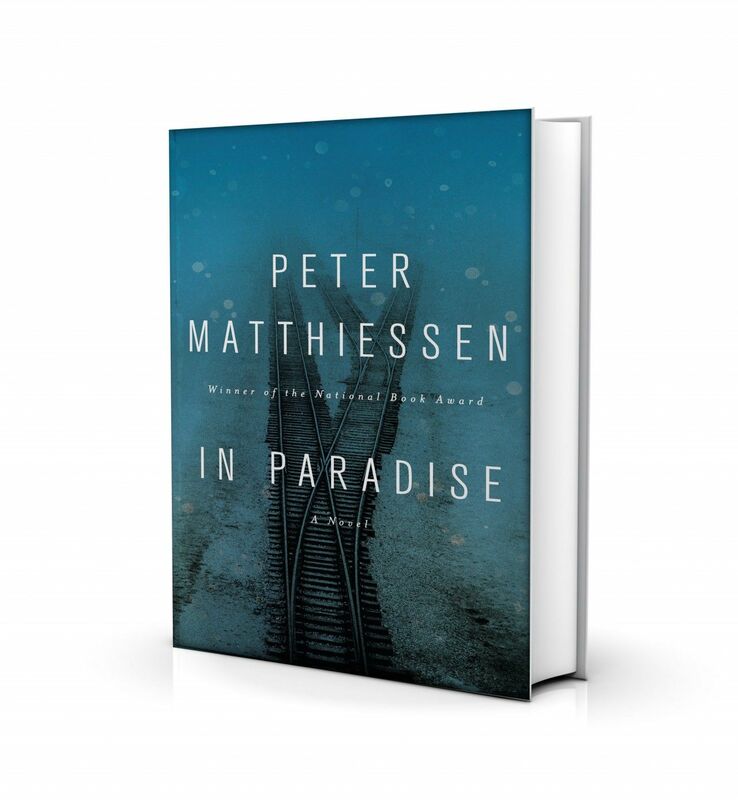 Peter Matthiessen died of leukemia on Saturday, April 5, just three days before In Paradise was published. He was 86 and, as the only recipient of the National Book Award for both fiction and nonfiction, one of the most accomplished writers of his generation. But calling Matthiessen a writer does not adequately encapsulate his life and achievements. With apologies to the Dos Equis spokesman, Matthiessen might have been the most interesting man in the world. After graduating from Yale, he accompanied a young Michael Rockefeller on an expedition to New Guinea before the naive scion was gobbled up by cannibals. He then married a world-renowned beauty, moved to Paris, and started the Paris Review as cover for his work as a CIA agent. All this before he was 30 years old. He went on to publish 30 books, ingest an impressive amount of LSD, and become a Zen master. All lives, however, must come to an end, even the fantastic ones, and Matthiessen clearly had mortality on his mind when writing In Paradise. The narrative follows the hapless Olin Clements, an American academic of Polish origin, who travels to Auschwitz while on a weeklong meditation retreat to learn of his mother's fate there. Matthiessen based the story on his experiences as part of a spiritual pilgrimage to "bear witness" at the Nazi concentration camp in 1996. The reader feels Matthiessen's personal investment in this, his first work of fiction since Shadow Country, which won a National Book Award in 2008. The Holocaust is a minefield for gentile writers—his friend and fellow former Paris expat William Styron was criticized by some for making the shoah the backstory for his very popular novel Sophie's Choice—and Matthiessen chose to tackle the subject by presenting a variety of viewpoints. Matthiessen's characters all arrive at Auschwitz "to bear witness lest the world forget man's depthless capacity for evil," but few of them can agree on the appropriate way to achieve such a goal. In each of these characters—the rabbi, the nun, the angry agnostic, the Nordic Jew, the Buddhist monk, the guilty German and the unrepentant Pole—we explore a different approach to comprehending humanity's capacity for both cruelty and kindness. While In Paradise isn't the ideal beach read, the chapters are short and the story is broken into confrontational scenes. The setting is cold and bleak. The characters are stark and mostly unlikeable. However, after 240 pages, the reader is somehow left with a keen sense of how humans deal with sorrow. We see how guilt and grief combine to create vastly different reactions. Some pray. Some look within. Some push the pain out. Some fight. But it's not all hand-wringing and soul-searching. Matthiessen limns dramatic scenes without succumbing to melodrama. There are no breakthroughs. No unified transcendence. Even the spiritual epiphanies are muted. No one can agree on anything except that what occurred at Auschwitz must never happen again. Matthiessen presents conflict after conflict, and he provokes questions, not answers. Even at the climax of the novel, a scene of impromptu dancing, he does not romanticize the moment. Some retreatants find dancing at Auschwitz to be a way of "transcending the atmosphere of grief," while others view it as "a death camp prance of grinning fools." The debate does not end the dancing and vice versa. Matthiessen walks a precarious path between tragedy and humor. After learning that his mother was exterminated by the Nazis, we see Clements hitting on the nun while at the spiritual retreat at Auschwitz. Tragedy? Comedy? Matthiessen lets the reader decide and, in the process, tests Mark Twain's theory that "humor is tragedy plus time."